Two men walked into a restaurant on Thursday and set off a bomb injuring roughly fifteen people. The explosion took place at the Bombay Bhel restaurant in Toronto, Canada at roughly 10:30 pm local time. According to the Peel Regional Paramedic Service, more than a dozen people were taken into the hospital, three of which had critical injuries. 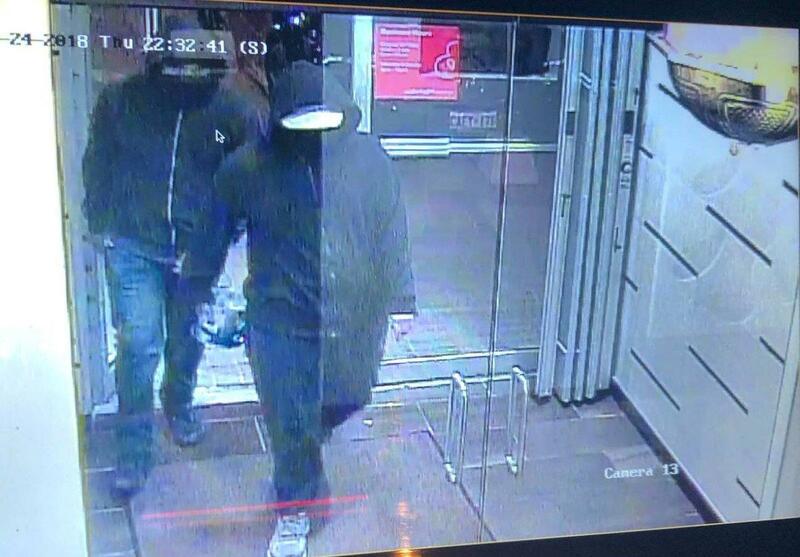 Local police posted a photograph of two unidentified individuals wearing dark zip-up hoodies into the establishment, one of which was carrying the bomb. Peel Police said one suspect was in his mid-20s, stocky, and wore dark blue jeans and a dark zip-up hoody pulled over his head, with black cloth covering his face. The second was thin and wore faded blue jeans, a gray t-shirt and a dark zip-up hoody over his head, also with his face covered. The attack comes a month after a driver plowed into a lunch-hour crowd in a white Ryder rental van killing ten and injuring fifteen.